Puncture tests are used to evaluate the resistance properties of thin materials at break, puncture or drill. To measure these properties, a penetrator or needle is applied with a constant speed on the material to a failure or to a predetermined elongation. Puncture tests are made using special materials composed of 2 rings that keep the material to characterize horizontally and without slipping. The probe comes with a constant speed to puncture the material which deforms according to two axes. The maximum force corresponds to the breaking point. There are different types of supports and probes according to the type of material. 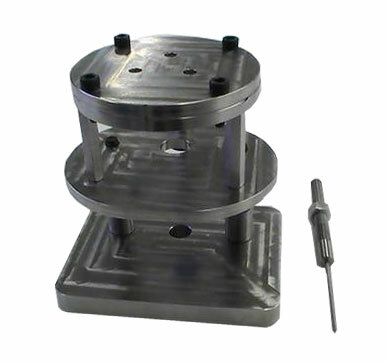 The main parameters are the diameter of the sample, the probe diameter and the hape (sphere or tip). The dimensions of the rings and the shape of the probe are defined by standards.